Fiberglass is one of the most consistently used materials for home insulation. Not only does this material keep homes warmer during the winter and cooler during the summer (maximizing home energy efficiency year round), it is also highly affordable. Because it is both a cost effective and reliable form of insulation, Idaho Falls homes typically include fiberglass insulation to keep them warm throughout the predictably long, harsh winter. There are many substantial benefits of fiberglass insulation, despite its relatively simple structure. Before the rise of fiberglass insulation, homes typically included ineffective and even dangerous forms of insulation. Not only was it typically flammable, it was also comprised of cancer-causing materials, such as asbestos. Fiberglass was actually discovered entirely by accident. In the early 1930’s, scientist Dale Kleist was conducting an experiment to see if he could create a vacuum seal between two blocks of glass, during which a small stream of high-pressured air created thin fibers within one of the blocks. Knowing that glass is a poor heat conductor, Dale Kleist and his colleagues saw the potential for a form of home insulation that was essentially non-conductive. Today, fiberglass insulation in Idaho Falls and all over the world is keeping people comfortable, healthy, and helping them save money year round. Glass is a poor heat conductor. Fiberglass has a very unique composition – it is comprised of various thin, glass fibers that are woven together into a mass of silicate and air pockets. The combination of these two factors makes fiberglass insulation so reliable. All of those glass fibers create a massive amount of air pockets, all of which trap warm and cold air, as well as prevent the transfer of heat through the walls of your home. This is what keeps your home warm during the winter and cool during the summer, helping to bring your home up to its maximum energy saving potential, and ultimately keeping more money in your bank account by keeping your HVAC usage low. With our fiberglass insulation, you can afford to keep your HVAC usage at a minimum, ultimately saving you money on energy costs. This is accomplished, in short, by the ability for fiberglass to prevent the transfer of heat from a warm area to a cool one. 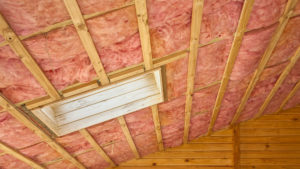 Fiberglass insulation has been one of the leading forms of home insulation by home builders, home remodelers, contractors, and heating and cooling professionals for this main reason. Eco Insulation provides the Idaho Falls fiberglass insulation you need. Whether it’s a commercial or residential property, you can rely on our technicians to get the job done right.